Happy 2019 to All. I am new to a NAS system and I went with Synology. Getting right to the point, what's the preferred way to set things up please? Generally speaking, I can use it as a dual-redundant back-up, as Neil suggests. Though that means I paid thousands of dollars to back up a 4TB drive with a 24TB enclosure, still limiting me to the space of a 4TB SSD in my iMac. (That would be a RAID 6.) I can set up the Synology with their SHR technology. This is very flexible, allowing for different size drives to be added later down the road and with cloud-based access from any computer or device, giving me loads of storage capacity, however with a far less back-up safety net, needing to be backed up elsewhere, too. (So then why did I spend over $2K? And then Synology also has Hyper backup and Hot Spare Options. 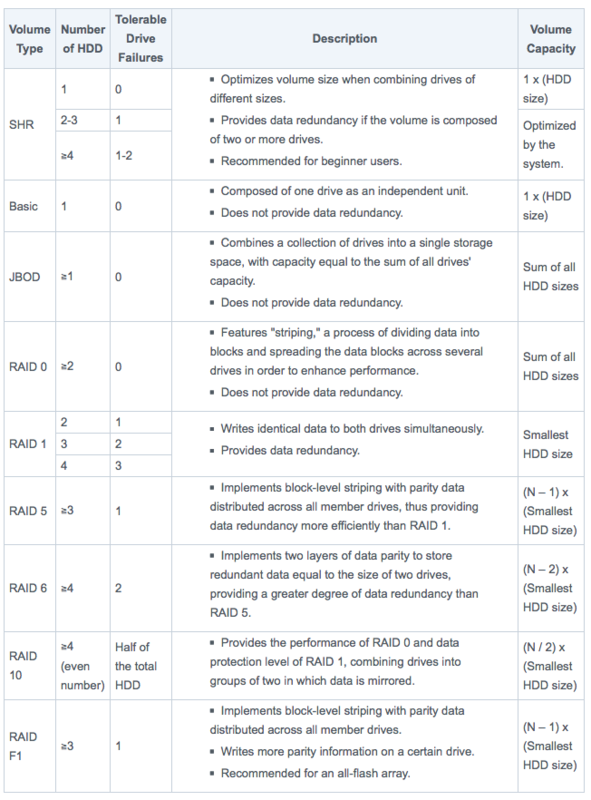 Many daunting options are possible, among them different RAID configurations. Bottom line to what I want to do is have a safe backup system (though I do have a Time Machine AND Carbon Copy Cloner, both on independent drives), be able to photo edit with LR off the NAS, and file share between computers and devices. Getting things right the first time around can be tricky. Thank you for your help.